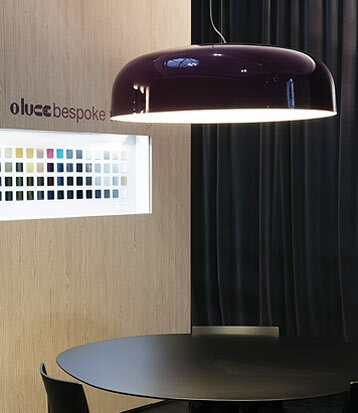 Designed specifically for the contract sector: lamps designed “ad hoc” for specific needs or in version adapted from existing designs. 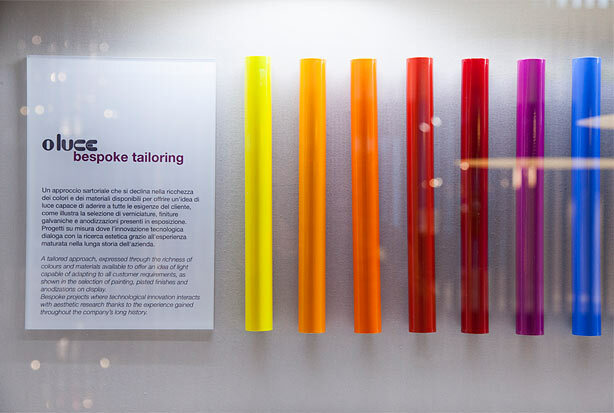 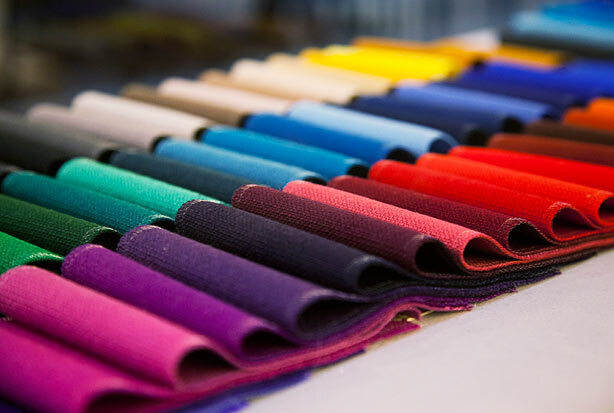 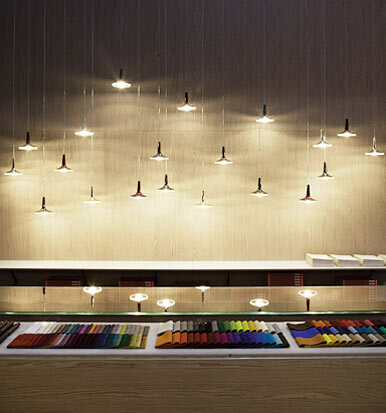 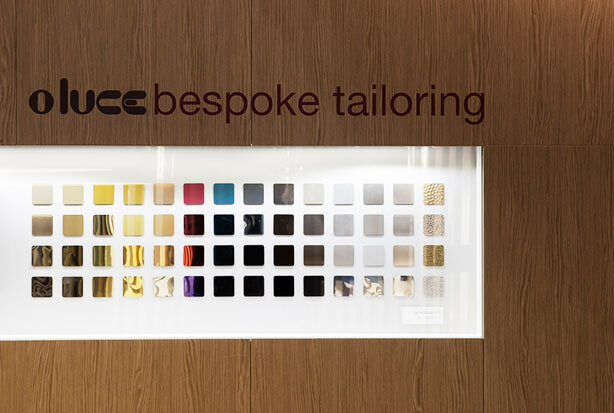 A customisation service designed specifically for the contract sector presented at Euroluce which resembles a tailor’s studio, where a selection of materials illustrates the company’s bespoke tailoring service. 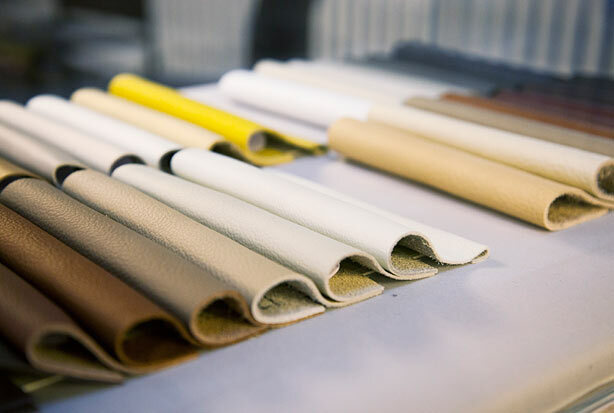 A space in which shades of colour are represented through different materials: anodised and galvanised baths for the metals, the grains of stone and marble, a variety of fabrics – from the sumptuous softness of velvet to the natural brilliance of cotton and linen, through to luxurious leathers which create a range of sensations and atmospheres. 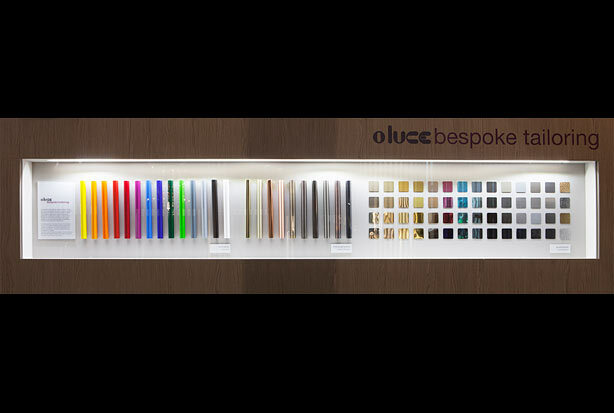 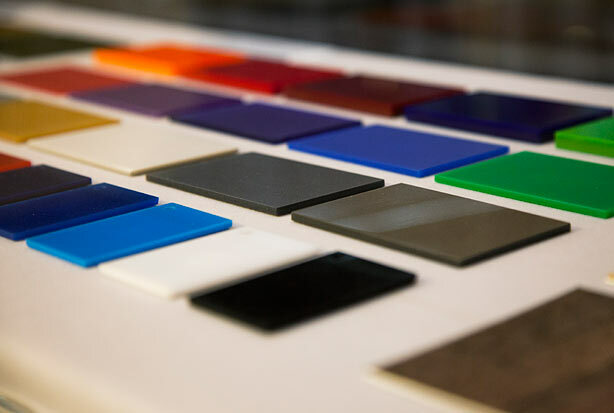 A voyage of discovery for the senses too, which conveys the extreme attention to detail and the high level of customisation available with Oluce products, introducing the creative and manufacturing journey which our company travels along with its customers.